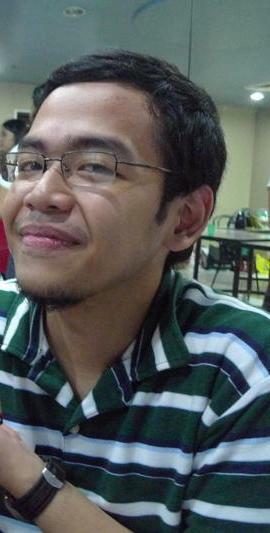 Leo Allen Pangilinan is Missing. I don’t know Leo Allen Pangilinan personally but posting this very important public advisory might help his family find Allen. 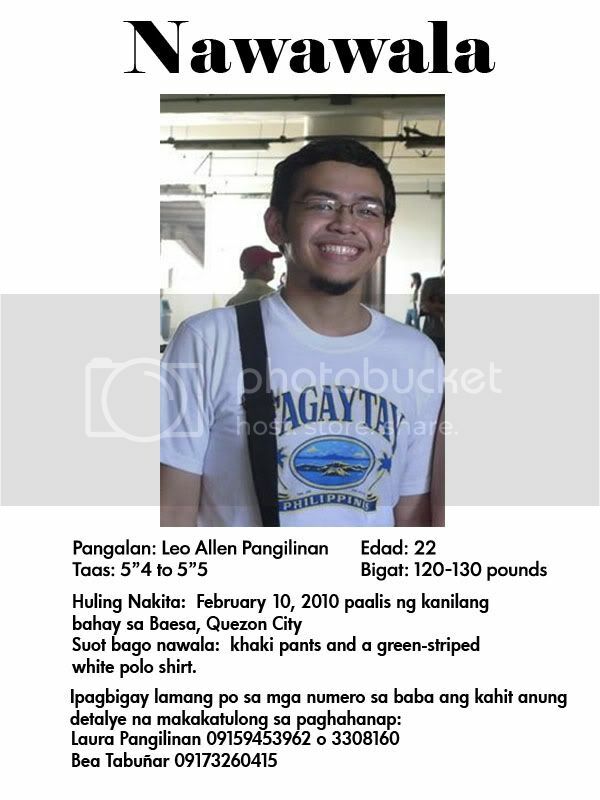 Leo Allen Pangilinan has been missing since Wednesday, February 10, 2010, 5:00PM. He was wearing khaki pants and a green-white striped* short-sleeved polo shirt. He is 22 years old, around 5’4″ to 5’5″ tall and 120-130lbs. 1) Print this poster and post in public places. Get permission if necessary. 2) Repost in your personal sites and twitters. 4) Prayers are greatly appreciated. Thank you very much and keep safe.